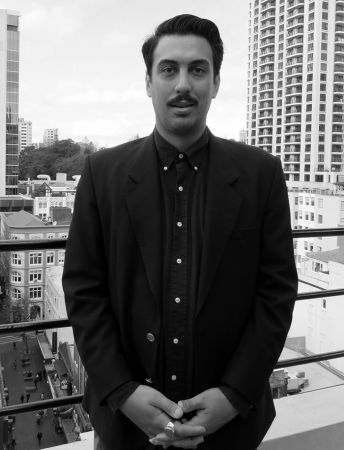 Today, Servilles Takapuna welcomed the amazingly talented Ezra Serville into their team. Ezra has been in the hair industry for 10 years now, and has made quite a name for him self. He is known in the industry for his impeccable style and impressive skill. Ezra has always had a strong influence from the hair industry in his life. Being nephew to Paul Serville meant he was exposed to the hair industry from an early age. He got an inside look into the busy and exciting life as a hair stylist. Ezra has said that seeing Paul and hearing about him and his achievements growing up influenced his decision to become a stylist. “I remember when I was about 10 and I walked into his salon on Albert Street, it was so cool. People were buzzing around and were so animated in the way they described hair.” When he was 17 Ezra decided to start learning the trade and enrolled at the Servilles Academy. Ezra has always been interested in art culture and fashion, hair styling to him is just an expression of that. Ezra has a bright future ahead of him. Eventually he would like to have a solid following of loyal clients and be on a creative team that travels. He wants to continue to be inspired, and inspiring others every day. With his amazing skills and passion we are sure he will achieve everything he sets his mind too. Ezra Serville has started his new journey working at Servilles Takapuna and we can’t wait to see how his story unfolds. To book in with Ezra Serville call 09 489 3936 or click here to book online.